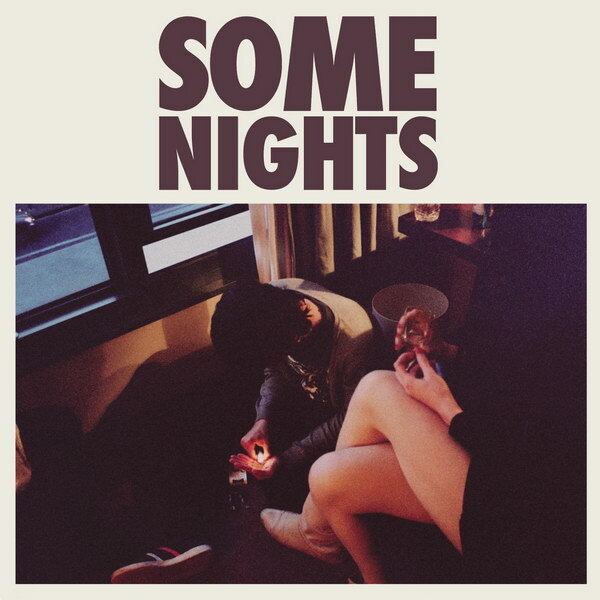 Some Nights font here refers to the font used in the cover artwork of Some Nights, which is the second studio album from the American indie pop band Fun, released in 2012 via Fueled by Ramen. The font used for the album title is Futura Condensed Extra Bold designed by Paul Renner. The font is a commercial one and you can view more details about it here. In addition to Some Nights, Futura typeface is also used in the following logos, movie posters or album covers etc., including: Liv and Maddie (TV Show), Sonic, Tourist History, We Can’t Stop, Party City, Eyes Wide Shut, USA Today, Valentine’s Day, Chicago, AIG, Modern Vampires of the City, Beautiful Creatures, Cosmopolis, Mean Girls, Resistance Fall of Man.